The Backyard Sportsman Blog | Better living from the outdoors. 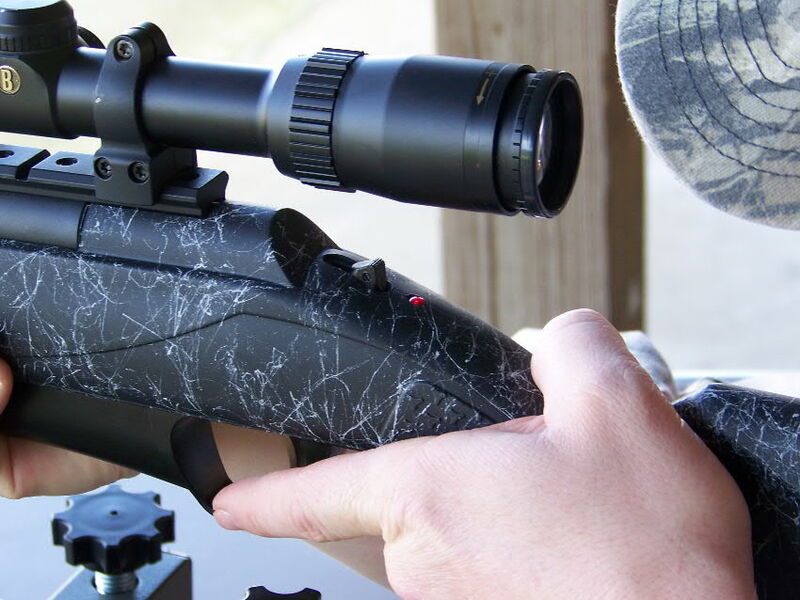 An unusual hunting possibility is present in the Spring in Georgia where it is legal to simultaneously hunt turkeys, wild hogs and coyotes using muzzleloading firearms. Although we were not successful, this video illustrates the possibilities of a Triple-Threat hunt on the Blue Ridge WMA and adjoining National Forest lands. Carson Miller and I also recorded some hunting tips, including two for older hunters. Night hunting techniques and equipment is shown for coyote and wild hog hunting which are legal tools in Georgia on private lands, but are NOT LEGAL on Georgia’s WMAs and National Forest Lands. Pinterest allows easy option for driving traffic to books, blogs, videos and creative projects. One of the problems with trying to publish affordable books is the fact that only black and white interior images are allowed. One way to compensate is to publish color images in another format, and Pinterest can accomplish this objective. I just posted 93 images and captions in four catagories or “Boards” as Pinterest calls them. 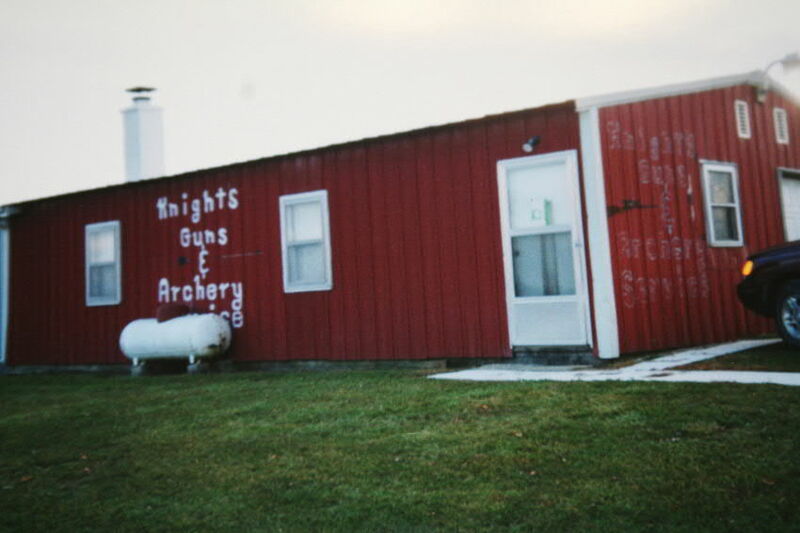 These are: “Guns & Game,” “Wild Game Cooking,” Crossbow & Game” and “Bowfishing.” If this link does not work you can also try http://pinterest.com/hoveysmith. One aspect that I like is that these “boards” allow you to arrange according to four subject headings and change/modify the photos or captions at any time as well as to make additions and deletions to the boards. There may be a limit on the number of boards or the number of photos per board, but I have not discovered that yet. Pinterest may also be linked to your Facebook or Twitter accounts. A caution is that once these photos are published they should be considered “free use” with the originator using these as ads to attract traffic back to his website, books, products or activities. One way around this is to degrade any images that could be commercially important. In our increasingly visual culture, Pinterest has exploded in traffic and user numbers. Using Pinterest is easy, cost nothing and can result in significant exposure for you and your products. It also provides you with a significant incentive to upgrade your photographic skills. Bondo Boat in Washington State when the author was on one of his cross-country bowfishing trips. Although “The Backyard Sportsman” on VoiceAmericaSports Radio has been discontinued, I am now broadcasting over WebTalkRadio.net. This is one of my current shows. To listen click on the live link here: To go directly to the radio show page and listen to the hour-long show, go to: http://webtalkradio.net/shows/hoveys-outdoor-adventures/. Mark Land shooting fish from a photo used on the cover of my book. Land commonly participates in tournament bowfishing, which the author seldom does, and between the two of them they review the sport from the author’s taking fish strictly for his table to high-volume, high-excitement bowfishing at night in a Louisiana swamp. Included are discussions on the equipment, boats, fish, participants, locations, techniques with a strong emphasis on utilizing the take. 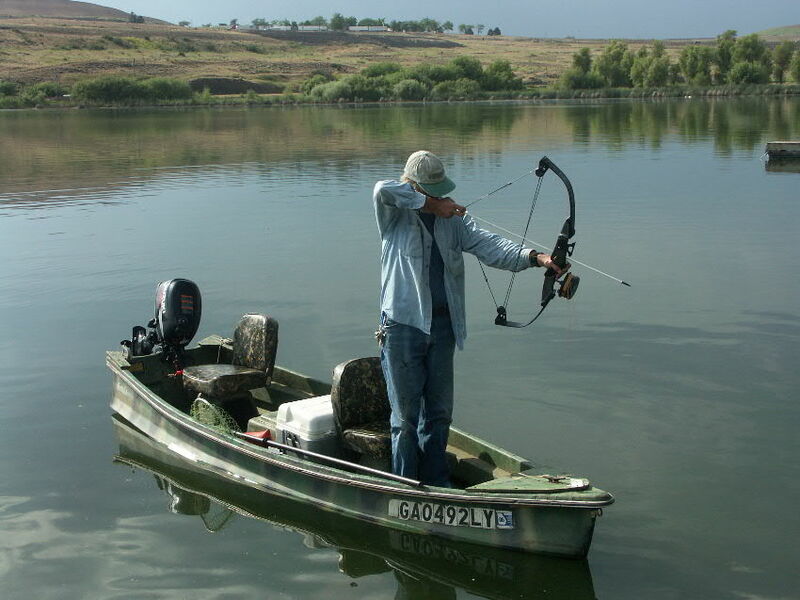 Because bowfishing can be done with relatively inexpensive equipment, almost anywhere in the country, almost anytime of year, take some of the best-eating fish that exist in unlimited numbers and improves the fishery at the same time; this sport is gaining increasing appeal as a sporting activity as well as a means of providing food for the family. Powerful, hard to pull, bows are not needed for any but the largest species allowing entire families to participate ranging from grandpa to grandson. Some women are aggressive participants in bowfishing and often outshoot their husbands and boyfriends. One of the host”s most requested recipes is for carp salad which is given below. 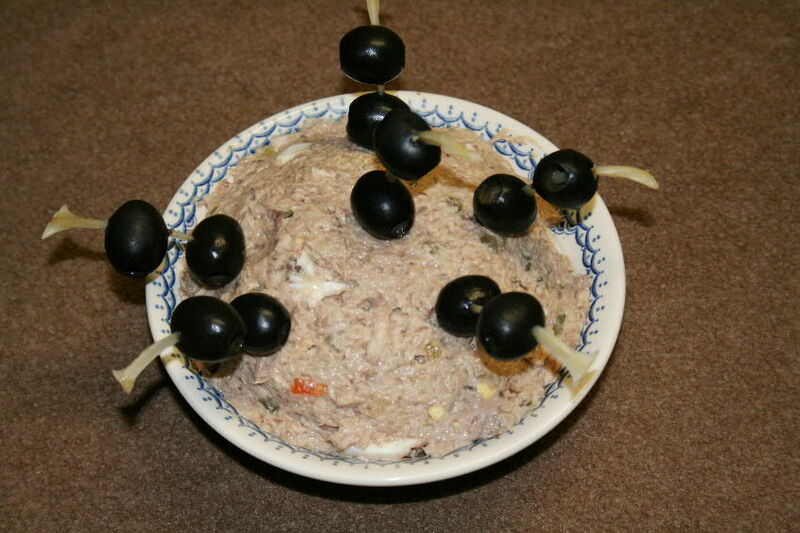 A carp salad is made the same as a tuna-fish salad, but does not have the oily or metallic aftertastes frequently derived from canned tuna. Mix the ingredients by hand in a large bowl feeling and removing any bones. Add additional salt and pepper to taste. This can be eaten immediately, but is better if refrigerated in a covered container overnight. This may be served over fresh lettuce or spread on crackers. For decorative effects it may be pressed in a fish mold and adorned with olives speared with the clean, washed rib bones of the carp. 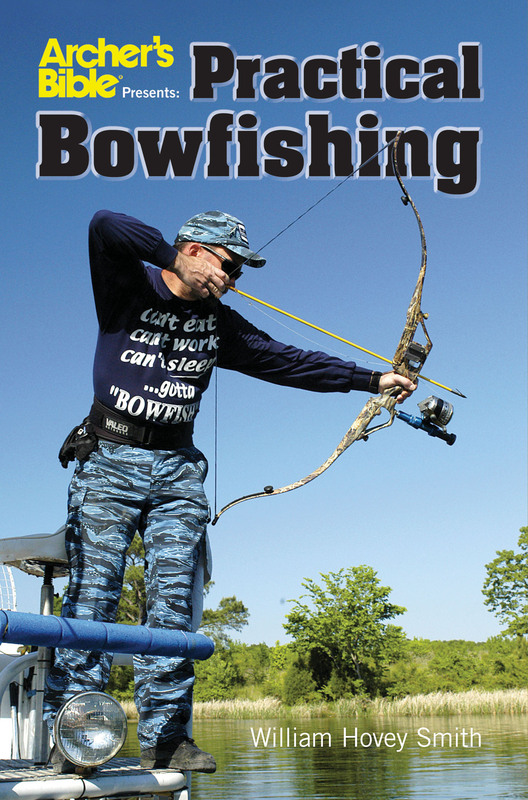 Now out of print, Practical Bowfishing, sells in the used book market for between $50 and $200. I purchased the remaining stock and offer the book for $20. It may be ordered by visiting my website, www.hoveysmith.com, and clicking on the Pay Pal button. Wholesale rates on this title are also available for retail stores. Bowfishing equipment and supplies may be obtained from a variety of sources. Cabela’s and Bass Pro stock bowfishing materials including starter kits. However, always purchase some extra arrows. Muzzy has a complete catalogue of bowfishing supplies and these, including the “Impale A Scale” video, may be ordered from: www.badtothebone.com. Backyard Bowfishing is the successor to Sully’s Bowfishing Stuff and their on-line catalogue is at: www.backwaterbowfishing.com. They also have a retail store in Gurley, Alabama. American Bowfishing is located in Bemidji, Minnesota, and their on-line contact is www.americanbowfishing.com. AMS Bowfishing is the manufacturer of the Retriever Reel and safety slide system (recommended for compound bow users). The products may be obtained from www.amsbowfishing.com. A blog about these shows “Hovey’s Outdoor Adventures Blog” is available from my website, www.hoveysmith.com, and a full-page view can be obtained by clicking on the live link at the very bottom of the welcome page. A live link to the new radio show appears below. To check past topics, activate the archive tab at the top of the page and that will bring up a list of shows. To go directly to the show page and hear the new show click on the following URL : http://webtalkradio.net/shows/hoveys-outdoor-adventures/. Starting Your Home Business: How to Do It. Could your backyard business start like this? Tony Knight's did. This is the outline of 21 Business modules presented as part of my radio shows, “The Backyard Sportsman” and “Hovey’s Outdoor Adventures.” An expanded version of this outline will be written up as a White Paper in 2011 and made available from my website, www.hoveysmith.com. I will also produce 21 short videos expanding on these themes. I. Why start your outdoor business? II. What is your passion? Can your hobby be your business? III. What are your skills? 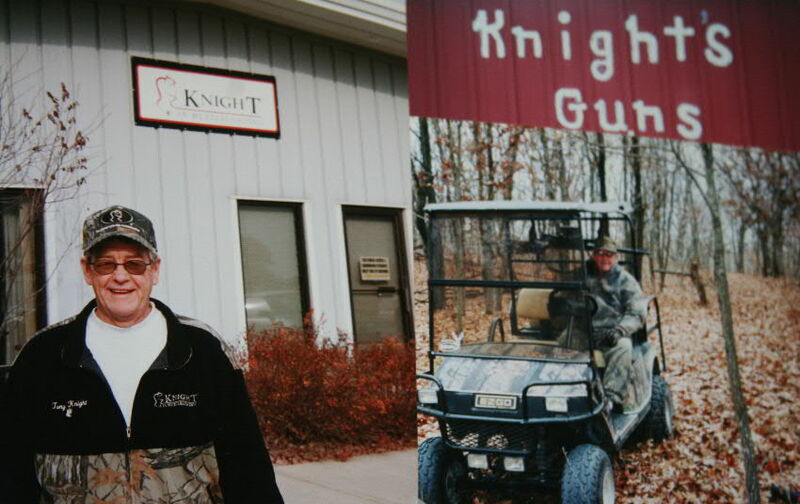 Tony Knight started a successful business from a tin workshop and store after he lost his railroad job. This business became a world-famous maker of muzzleloading sporting rifles. To listen to this or any other show go to the following VoiceAmerica Sports show page and select the month and episode you want to hear “The Backyard Sportsman” with Wm. Hovey Smith. An uninterupted reading of the Premier Broadcast of an original Christmas story, “A Visit from Auntie Thresa Claus,” by Wm. Hovey Smith will be featured in this Holiday Show. 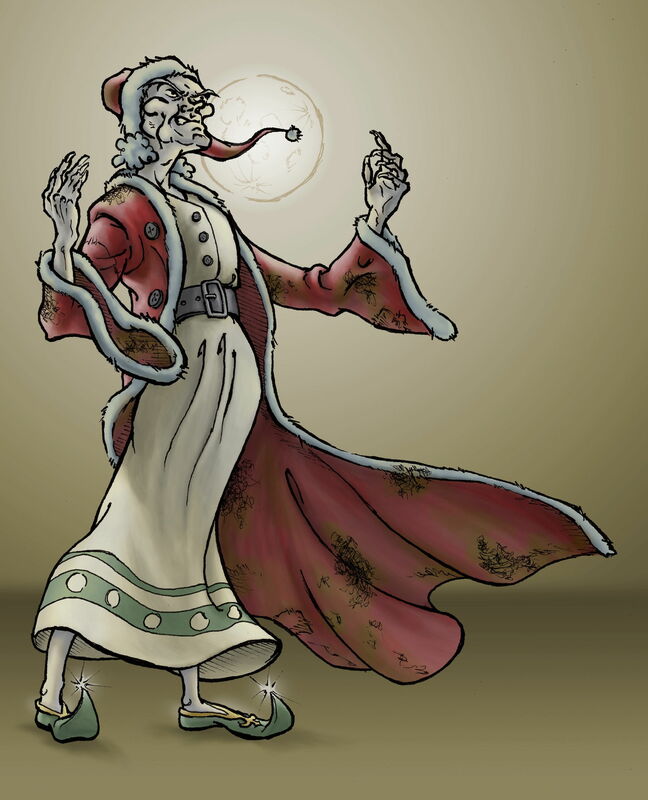 Thresa Claus visits six families on Christmas day, and should hospitality be refused to Santa’s sister, she has the power to take everything related to Christmas away. She has been inadvertently summoned to the Jay’s family home by Jennifer, the youngest daughter, who must find a way to prevent a disastrous outcome. Through Jennifer’s action, a bad outcome is narrowly averted, and the family has an enjoyable Christmas. This story is available as a 30-min one-act stage play as well as a screenplay. Copies of the play and script may be obtained from www.hoveysmith.com and more information is available at the Auntie Thresa Claus Blog at the bottom of the WebSite’s welcome page. This is an adventure story of me as a young Second Lt. of Engineers blowing holes in an ice-clogged river to prevent damage to a vital bridge across the Copper River at Copper Center, Alaska. Engineer officers get to do some interesting things, and this included me crashing down on top of 1,000 pounds of lit explosives when our helicopter decided to quit, a civilian aircraft being nearly being knocked out of the sky by ice chunks and me having a very cold Christmas dinner thawing World War II C-rations out in a tin shed at 26 degrees below zero – all good training for a young Army officer. Tanegashima, or Tagie for short, is a Japanese matchlock that the author felt obligated to take hunting and try to kill something with. 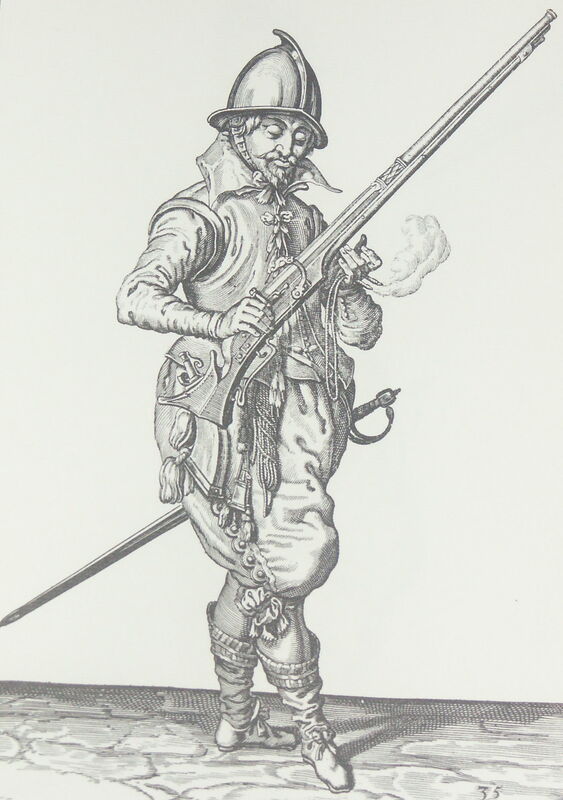 Matchlock shooter readying his gun. Because matchlock guns have been in use longer than any other type of firearm, I felt that it was vital that I get one and learn to hunt with it. After all, these were considered perfected in Europe by the 1500s and were used on all classes of game, including waterfowling. I did not have access to any European replicas, but I could get a Tanegashima-style matchlock that was, at that time, made in Japan. Getting the gun to shoot at all was the first challenge, but I ultimately did manage to hunt with it and kill game. My conclusion was, “A matchlock gun is ideal for someone who wants a maximum hunting experience, but does not want to be bothered to clean much game. A sincerely rendered, but badly sung, song from an unexpected source concludes the program.